Get your body warmed up and ready to move in this soft touch, long sleeve hoodie for women. The full zip top features an ergonomic cut that’s designed for layering and to give you ultimate freedom of movement. The longer length rear hem provides coverage during fast action movements while the shorter front hem offers an easy stride and a trendy look when paired with other base layer items. 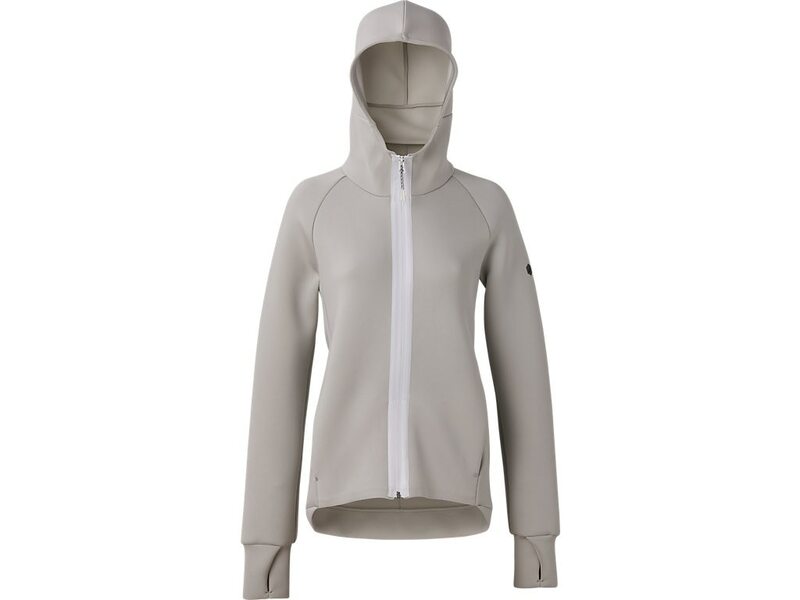 Moisture wicking fabric and sandwich construction of the top ensures you stay dry when your temperature rises and keep warm when the weather is less friendly. ASICS reflective hexagon branding detail ensures you’re spotted in the dark when out past sunset.